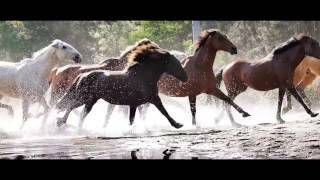 Escape to Australia's largest horse riding and outdoor adventure centre at Glenworth Valley. Take some time out to enjoy yourself with a night under the stars in unspoilt Australian bush surroundings. Relax amongst 200 acres of secluded riverfront camp sites beside the open campfire. This is family friendly, bush camping in a pristine natural environment. Most of the campsites are scattered along Popran Creek in a number of large open fields. The campsites are kept in a natural state and are all unpowered. Hot showers, toilets, wood-fired barbecues and picnic tables and they offer the convenience of parking your car at your campsite. Camper trailers, caravans and motor homes are also welcome. Glenworth Valley is located just one hour from Sydney Harbour Bridge and Newcastle or 20 minutes from Gosford.